Corrugated board made from ageing-resistant material, overall thickness 3.1 mm, natural white in colour. Top ply made from grey-blue coloured archival board, 300 gsm or laminated with light grey (048) archival paper, 130 gsm. Surface specially treated, dirt-resistant, erasable and rub-proof (dry wiping). Each individual ply is glued moisture-proof (wet-strengthened). The board is ageing-resistant in accordance with the EN ISO 9706 standard. 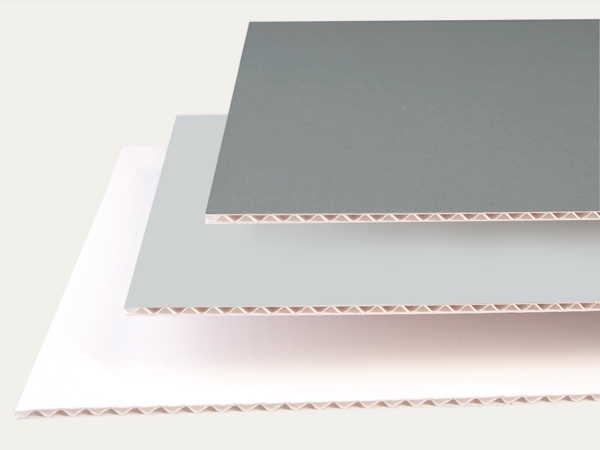 Base material used for making KLUG boxes and folders, also suitable as backing boards for conservation-quality picture framing.